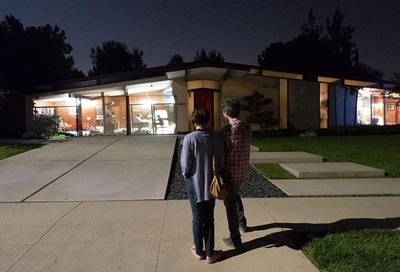 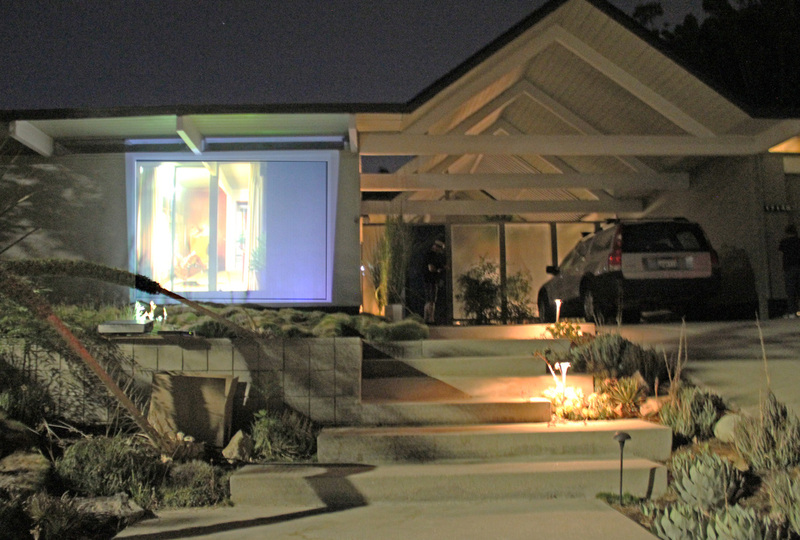 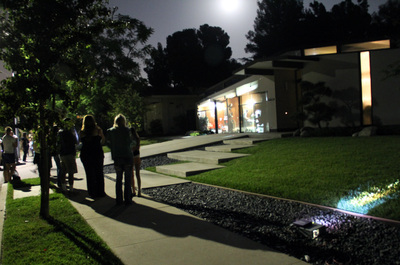 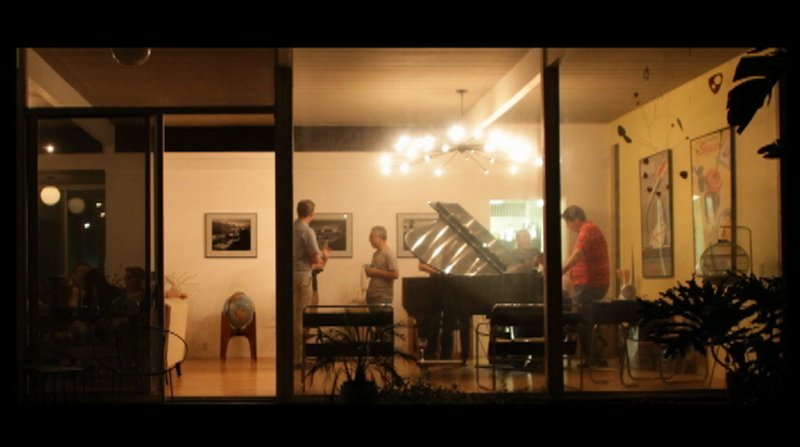 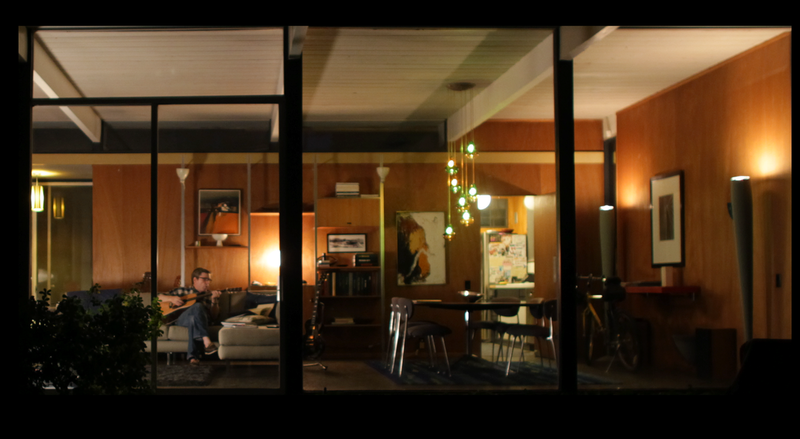 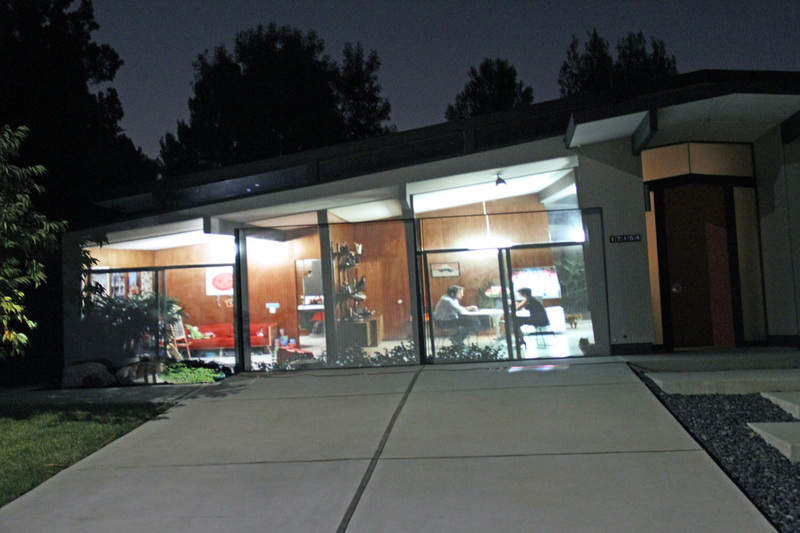 This event is a one night, outdoor, multi-channel video installation that treats Joseph Eichler’s Balboa Highlands tract neighborhood as both subject and object. 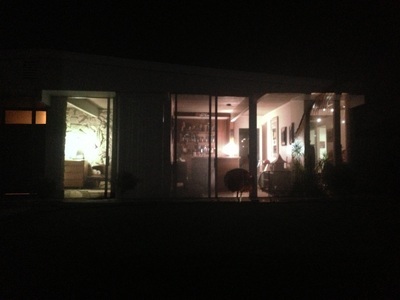 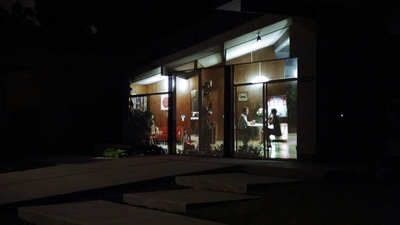 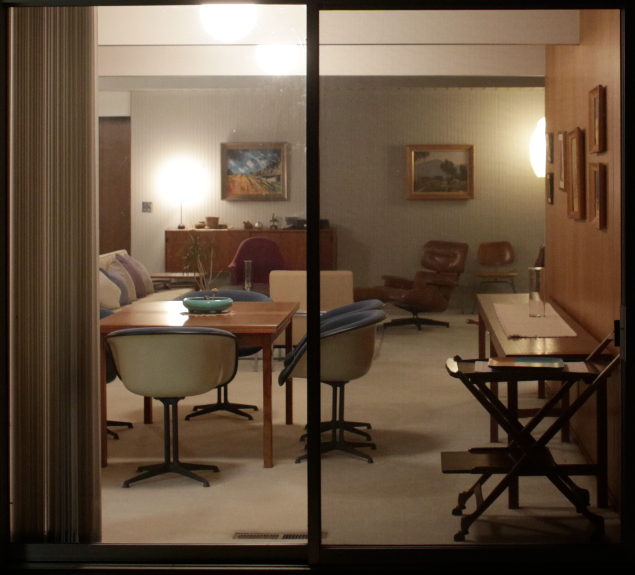 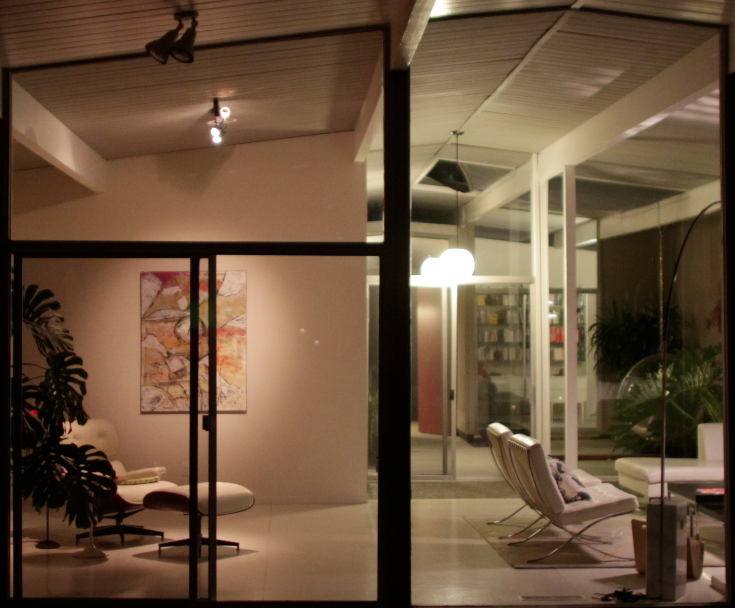 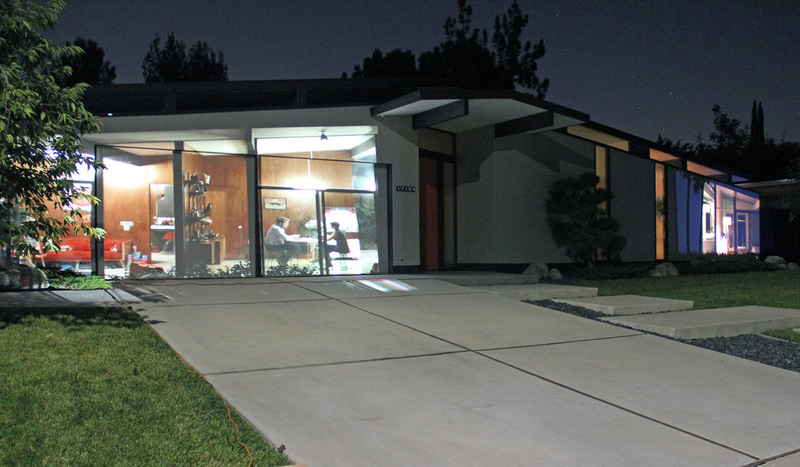 With their fortress-like walls and airy interiors, the Eichler houses epitomize construction techniques for Modern homes. 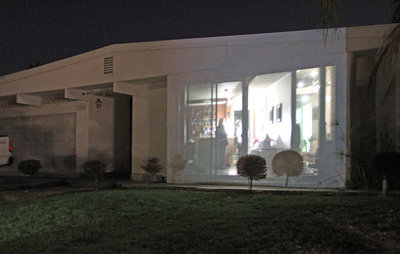 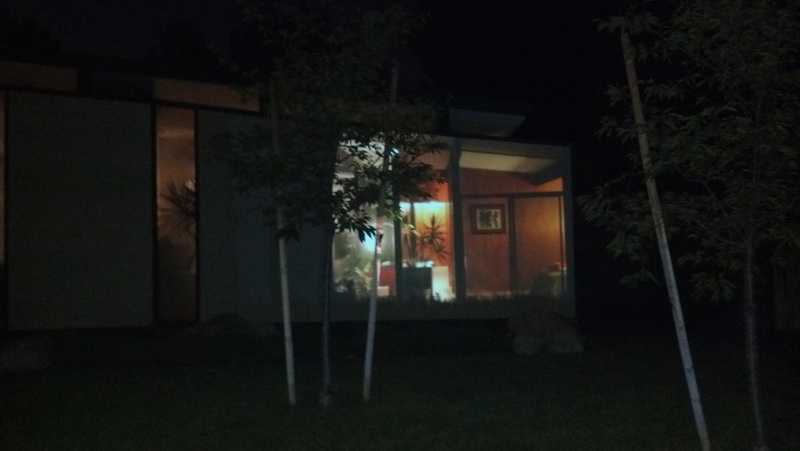 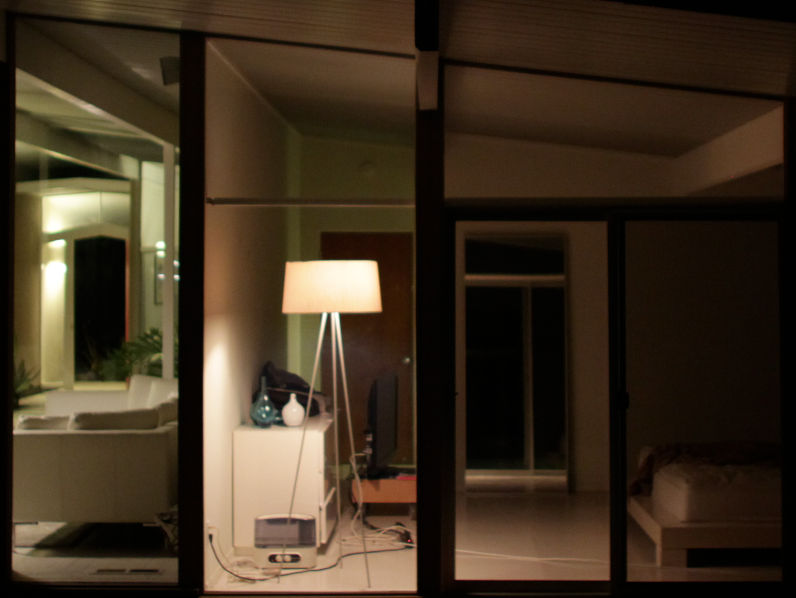 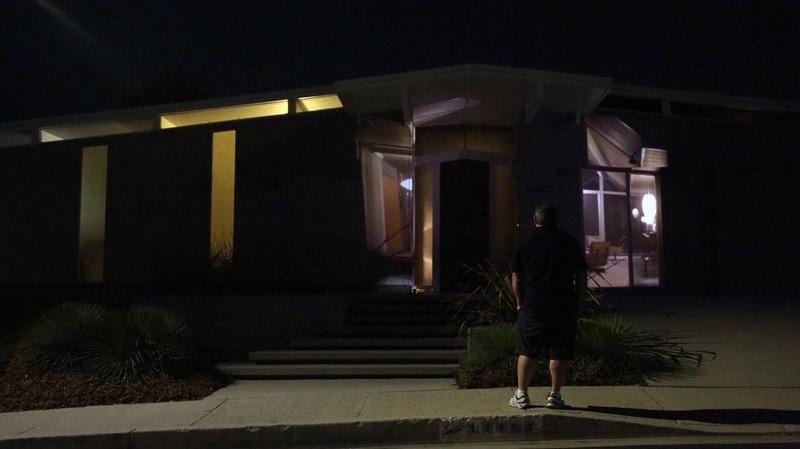 Using the expansive, impenetrable facades as projection screens, the videos show homeowners moving about inside, as they would normally be seen through the translucent glass walls facing their backyards. The projections are spaced throughout the neighborhood, activating a nine houses, and implicating any of the tracts’ other 90+ homes as a possible projection sites, imagining the lives within. The event aimed to create a casual evening of self-directed exploration through the neighborhood, to bring out the neighbors and public for a voyeuristic stroll through a Modernist paradox of isolation and openness. The installation was spread over Darla Avenue, Lisette Street, Nanette Street, and Jimeno Avenue, off Balboa Blvd. 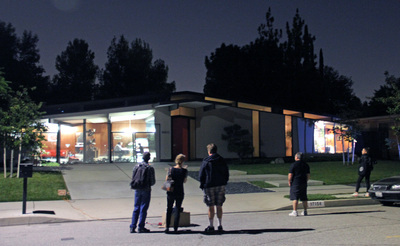 The project was a part of Machine Project Field Guide to L.A. 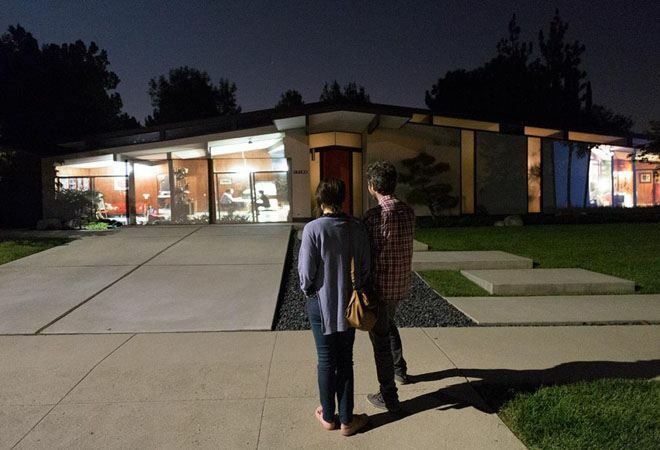 Architecture funded by the Getty initiative Pacific Standard Time LA Architecture.